Just take a walk in the park, collect the materials and you will be able to make a basis of an unusual and hearty table lamp. 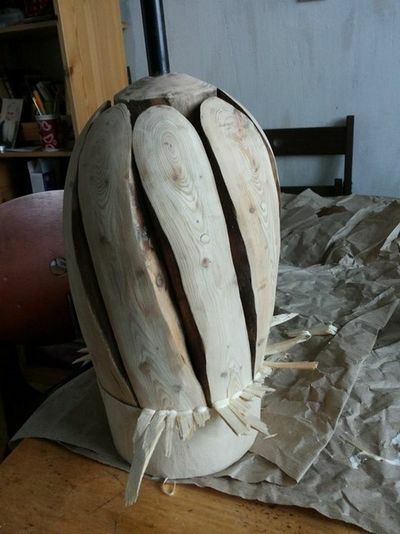 I love working with wood: most of my projects are made of dry trees, branches, bark. They usually require specials tools, but some can be implemented by any master working at home without special woodworking skills. 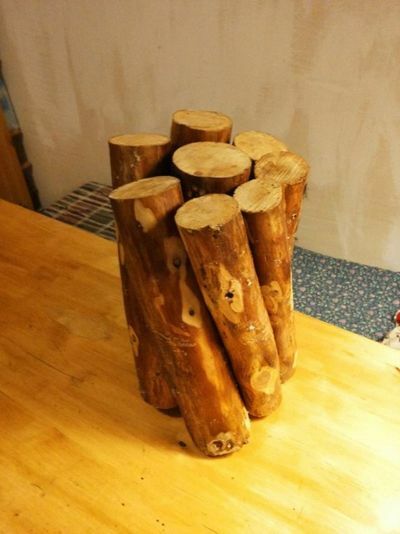 For example, wood is great for making table lamps. 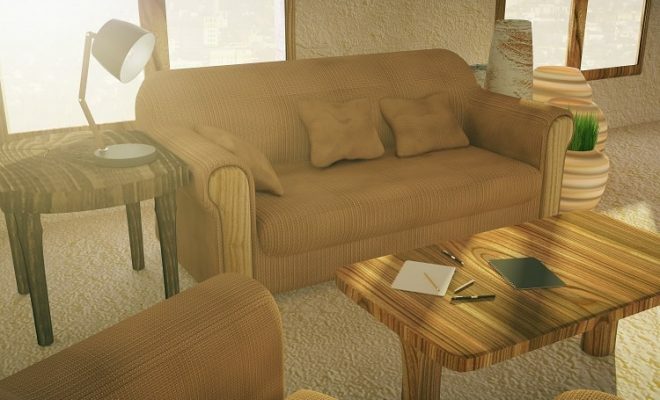 If you have a similar model on a thin rod-base, you can easily make the design of such table lamp unique using materials that can be found literally under your feet in any park. In my case, this is the simplest lamp on the rack base purchased at IKEA. The lampshade and a light bulb can be purchased there as well. Not every DIYer has enough workshop space to bring in large pieces of wood. This is heavy and cumbersome. But everything is different with saw cuts of twigs. There is plenty of this material in any park. 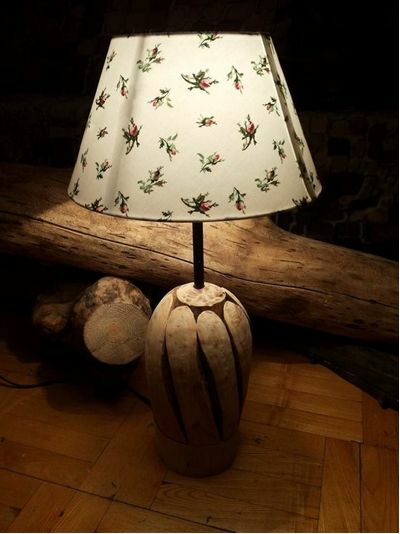 Tip: I used dry fallen branches of larch as a decoration material for a DIY wooden lamp. Larch is a very hard material (only less hard than oak) and decay-resistant. 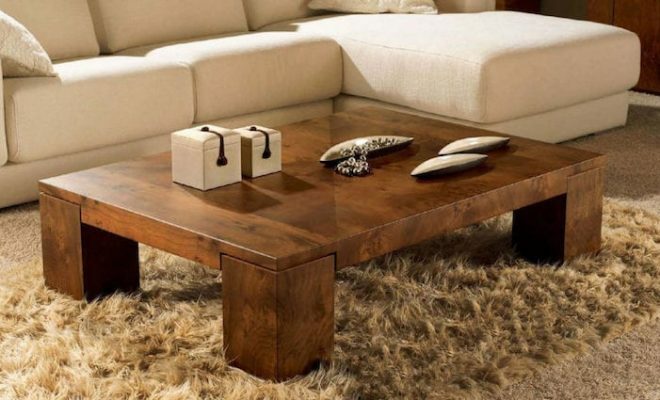 Therefore, high-quality wood can be found even among twigs that over-wintered in the forest. Besides a rack with a cartridge, you will need glue. You also need wooden needles to joint branches – I used bamboo kebab skewers that can be purchased in the department of disposable utensils. Prepare a twine or rope as well. The main processing tool is a corner grinder with a circle-shaped nozzle with a petal emery paper. Additional tools may include a hacksaw, a hammer, a drill, an electric planer that is a set that almost any DIYer working with wood has. You can do without an electric planer if planning wood with a grinder. Specific wood processing tools include a semicircular cutter and a knife. Cut twigs into pieces of 10-12 inches and glue them together at a slight angle (making a kind of “bundle of firewood”). To do this, glue surfaces of all parts and pull them together with a rope for a couple of hours. After the first adhesive, leave the structure for the time specified in the instructions. After that, we start processing the glued twigs. 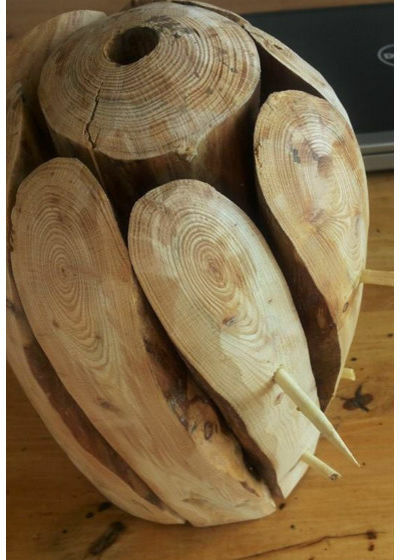 Drill holes and insert wooden spokes into them – they must be glued as well. Do not rush, let the structure dry. When twigs and spokes get dry, we start grinding them – we process the glued twigs with an electric planer and grinding machine, shaping the item as we like. 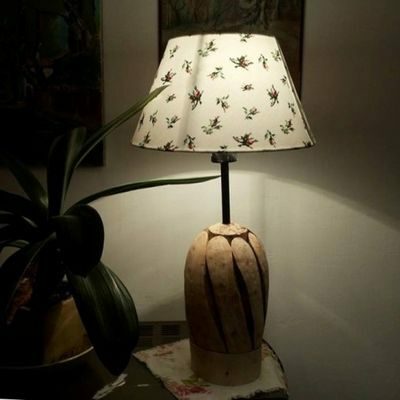 A DIY table lamp will be even more stable if glued to a solid base. To do this, I recommend using a thicker saw cut that the whole structure will be installed on and glued to. If it is difficult to make absolutely flat surfaces for gluing by hand and there will be cracks after gluing – you can seal them with woodchips. Woodships with thin edges, moistened in glue, almost perfectly seal cracks. After the glue dries, excess woodchips can be easily removed with a grinder. The final step is drilling a hole under the rack with a cartridge. The shape can be refined with a sandpaper (perfectly smoothly sanding the surface) of you want to. And of course – varnish it. I left the wood unprocessed: I just put a lampshade on it, screwed in a light bulb and the lamp was ready!